Ernest Zheng is a big fan of Ikea. "The lines are simple and elegant and they emphasise practical functions, like space saving, which are useful for us Shanghai residents. I particularly like the natural colour and beauty of the birch and beech wood that they use," he says. However, he has not bought a single item from the Ikea store in Shanghai, the first to open in China in January 1998. "It's incredibly expensive," he explains. "My wife and I got very excited when we first visited the store. We both liked the four-door wardrobe, for example. But to our surprise, every item was priced individually: the doors, the frame, the drawers, the metal bars for hanging clothes. When you add it all up, the wardrobe costs over Yn20,000. That's much too expensive." By local standards, Zheng is a wealthy man. He is the chief representative of a foreign bank in Shanghai and his wife works for a Japanese advertising agency. They own outright a two-bedroom flat and their combined income is at least Yn30,000 a month. "It's not that we can't afford it. The prices are just too high to be value for money," he says. This is a fundamental problem facing Ikea in China. The Swedish retail group's mission is to ?create a better everyday life for as many people as possible by making beautiful functional items for their homes at the lowest prices.? 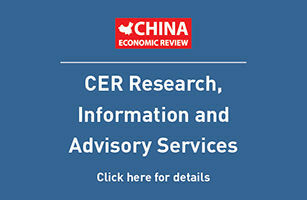 Making this happen in China will not be easy – what are considered cheap and cheerful products oriented towards low and middle-income earners in developed countries become top-of-the-range goods when they are sold in China. Even so, Ikea products are proving popular in the Mainland, particularly in Beijing where it opened a store in January 1999. This is a fast growing market. Last year, Beijing residents spent Yn7.5bn on refurbishing and redecorating their homes, 60 percent of this on materials alone, according to the municipal statistics bureau. A survey carried out by the bureau revealed that 46 percent of families have redecorated their home in the last two years. Ikea is well positioned to take advantage of this growth but so far its appeal has been limited to young professionals with consider-able spending power. The company is aware of the need to reach a bigger market. Last August, it announced price cuts of 20-60 percent on more than 60 percent of the products sold in China. "I can guarantee you that the prices in China now are the lowest of all Ikea stores around the world," says Mr. Birger Lund, the group's China manager in charge of the two retail outlets. It also printed 1.6m copies of its free catalogues in Chinese for the first time to help their customers. Over the past fiscal year, the two stores recorded combined sales of US$42m, a 70 percent increase over the year before, thanks to the opening of the Beijing store. But set against Ikea's global sales during the same period of nearly US$ l0bn, China's contribution is less than 0.5 percent. One reason for the low turnover in China is the small size of the two outlets. "Both our stores in China are very small compared with the ones you see in Europe or America. Ideally, we would like to establish five big stores in the next five years [in addition to the existing two]," Lund says. Efforts are concentrated on looking for large tracts of land where new premises could be built or for ready-made, purpose-built premises. However, Lund feels "extremely happy with what we've achieved so far." He is confident that people's living standards and purchasing power are improving so much in China that more and more people will find Ikea easily affordable. "The price cuts are hurting the company's balance sheet in the short term, but we are here for the long term," he says. The prospect of China's entry to the World Trade Organisation will eliminate most of the import duty Ikea pays at the moment and this in turn will help to reduce the prices of products. The question is how long it can survive without making a profit. "All foreign retailers are secretive about their operations in China. They don't tell you their initial investment size, let alone the current status," says Mr Jiang Tao, retail analyst with CVSC-Sofres Media, a joint venture between the Central Viewer Survey and Consulting Centre and Taylor Nelson Sofres Group. "All we can see is the rapid growth and expansion [among foreign retailers]. That alone doesn't help to gauge who has reached a break-even point or started making profits." Ikea came to the Chinese market back in the late 1970s when buyers were sent to source materials for processing. Today, the country is a leading purchasing centre, particularly for soft furnishings. A purchasing office has been opened in north-eastern China, with birch and pine furniture made locally. Ikea also has a factory near Beijing and a stake in a company in Qingdao, Shandong province, both making birch furniture. Mr. Hans-Goran Stennert, chairman of Ikea, predicts that China will become the group's most important purchasing area worldwide in five to 10 years, with purchases doubling to around US$lbn a year. In 1995, Ikea set up a representative office in Beijing to oversee the creation of its retail operations. All foreign retailing investors in China are constrained by the requirement to form joint ventures with local partners. Ikea has a different partner in Beijing and Shanghai. One of the biggest challenges it faces is to maintain a common brand image across its different markets. "We try to emphasise value for money as the main image of our products," said Ms Linda Xu, Ikea's public relations manager in China. This is particularly difficult to achieve, as Ikea does not tailor its products to specific markets, preferring to sell the same range in all its stores worldwide. The only concession it makes in China is in transporting furniture to the home and assembling it for the customer. This overcomes the problem of delivery in a country with very low levels of private car ownership. Jiang of CVSC-Sofres Media is not persuaded by Ikea's approach. "All the foreignretailers sell imported goods in China, which are naturally more expensive than local goods of similar quality. Our research shows that all of them, including Ikea, bring in goods that don't sell well elsewhere in the world or can't sell because of environmental regulations. Chinese consumers are smart enough. They will know the full picture before too long." At the moment, he says, people are attracted to the brand name. Global chains like Ikea are perceived as offering quality products and reliable services, for which many well-off Chinese consumers are pre-pared to pay a premium. Not everyone, however. Zheng took the Ikea catalogue to a local furniture manufacturer, which then ran up for him a made-to-measure alternative. The manufacturer made a few alterations to the three items he wanted: a bed, a floor-to-ceiling wardrobe and a television cabinet. The bill totalled Yn4,000. In Ikea, Zheng says, the double bed alone would have set him back Ynl0,000. Ikea is said to be threatening the manufacturer with legal action, according to Zheng, "but it is difficult [for Ikea] because there is no patent involved and therefore no violation of intellectual property law. The designs are simple and easy to copy. Of course, when alterations are made to the customer's request, you can hardly pin them down [for the alleged offence]." Ikea admits that it is losing the battle against copycats in China. "We have tried various means to stop the practice. But so far we haven't found any effective way to tackle the problem," says Xu. She also points to the practice of Ikea's Chinese manufacturers selling surplus orders locally, using different brand names. "Ultimately, we are a retailer," Xu adds. "We won't be as bothered as our suppliers." What will concern foreign retailers such as Ikea is rising competition and consumer power, according to Jiang. "Government restrictions will disappear after China's entry to the World Trade Organisation," he says. "There will be more competition and less protection for local retailers. Even foreign retailers have to learn to adapt to the demands of the Chinese."